I am finally getting around to posting something on my blog. I made this card based on the sketch from Mojo Monday: http://mojomonday.blogspot.com/. 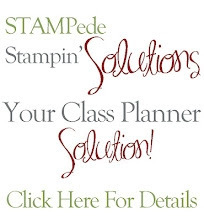 I am a new Stampin Up demonstrator but have loved their products for a long time. For this card, I used some older (but beautiful) designer series paper. I have had a sneak peek at their new papers and I love them. Can't wait to get my hands on it. Have a great Monday and thanks for stopping by. Beautiful, Jeanne. I love your color combination and your vellum flower is so pretty.